« Change Mindset for Change Timeset! A great gift for anyone on your list! A one hour phone or Skype session, in person in Westbury, Long Island or on your site. 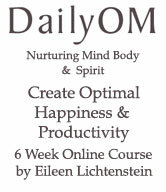 Even if you’re doing well, this course will propel you to a higher level of success and happiness! Thinking about becoming an entrepreneur? Looking for a career change, a reinvention?And if you are simply feeling overwhelmed with life, “sandwich generation” or parenting issues, this program will help get you get unstuck, be fearless andCreate Optimal Happiness & Productivity! A must read for anyone struggling to take their personal or professional life to a higher level of success and satisfaction. 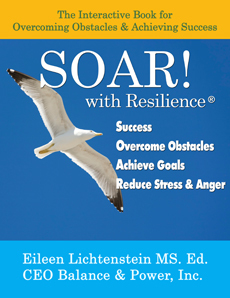 Eileen has created a book where she is “your” business, life, parenting or transition coach – partner! Eileen takes you through her personal journey of accomplishment while showing how you too can achieve the same peace and balance she has achieved in her own life. Her inspiring book gives you real life examples of how she guides her clients to success through her own experiences and years of training as a successful life and spiritual coach. As if that’s not enough, this amazing book is chock full of inspirational quotes from some of the top self help guru’s of our time. This email was sent by Balance & Power Inc, PO Box 894, Baldwin, NY 11510, using Express Email Marketing. You were added to this list as (subscriber email here) on 12/21/2011.